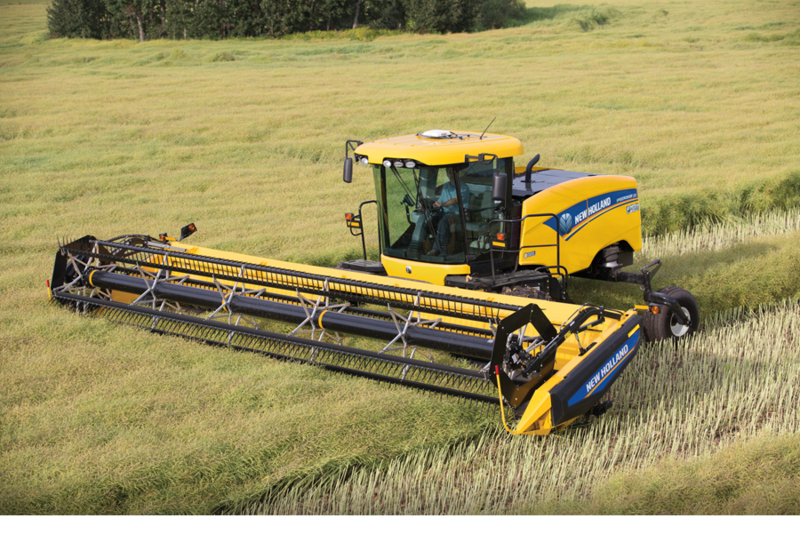 New Holland’s continued innovation has led to an optional three range hydrostatic drive that produces transport speeds up to a best-in-class 38.6kph*, making it the SMART choice when you need to move quickly between farm and field. 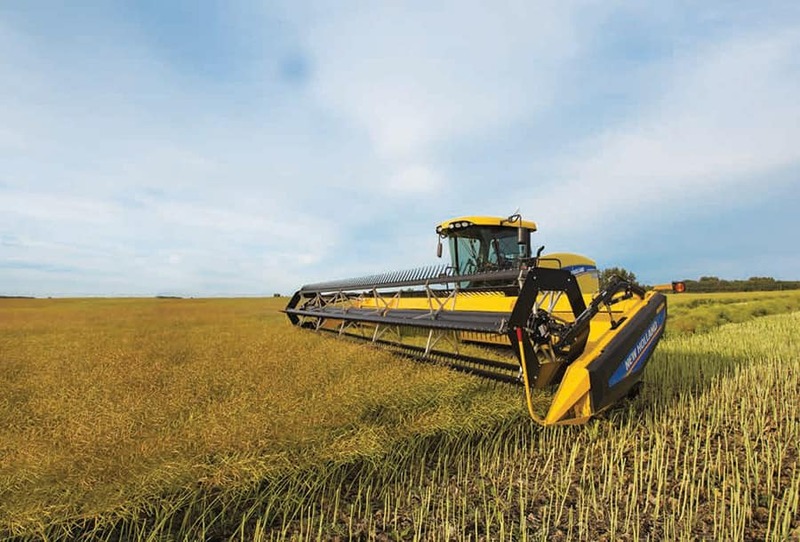 Time is a nonrenewable resource, and Speedrower® windrowers help make the most of your time. * Top speed varies slightly depending on front tire size. 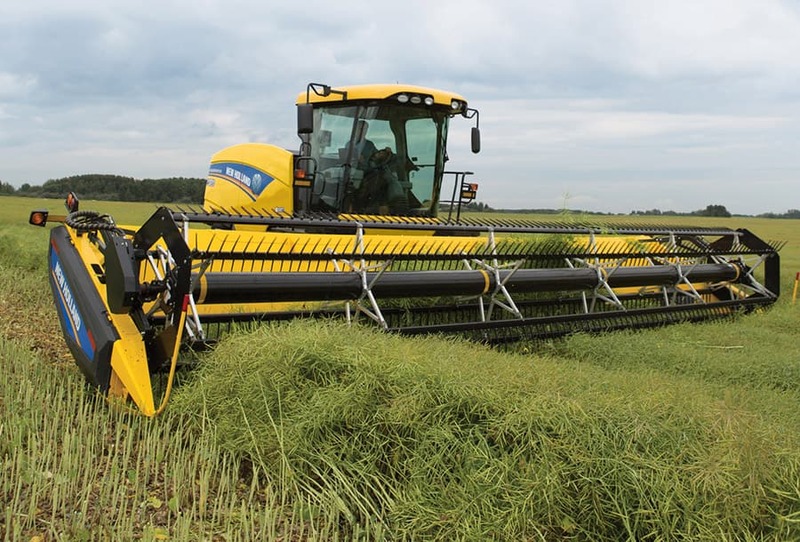 For optimum handling and control, the rear ballast is easily adjusted to match the requirements of the header. The optional (available as DIA kit through parts operation) front ballast box provides stability and traction during transport when the header is detached. The Speedrower cooling system is designed to suit the cooling needs of each model and offers increased cooling capacity compared to previous models. The rotary air screen housing is made of steel and creates a tight seal, resulting in improved performance. The wand and duct system is a full third larger than previous models and the rotary screen motor has been upgraded to ensure the screen is continually cleaned. When working in extreme temperature conditions, add the optional diesel fuel cooler for a clean, efficient burn and to capture more horsepower from every liter of fuel. RoadCruise™ transport mode comes standard on new Speedrower® windrowers and automatically sets engine speed to maximize fuel economy in transport. With the CommandGrip™ multi-function handle in the neutral position and power take off disengaged, the system is activated automatically when the operator selects third range or when a new transport mode is selected on two-range Speedrower windrowers. 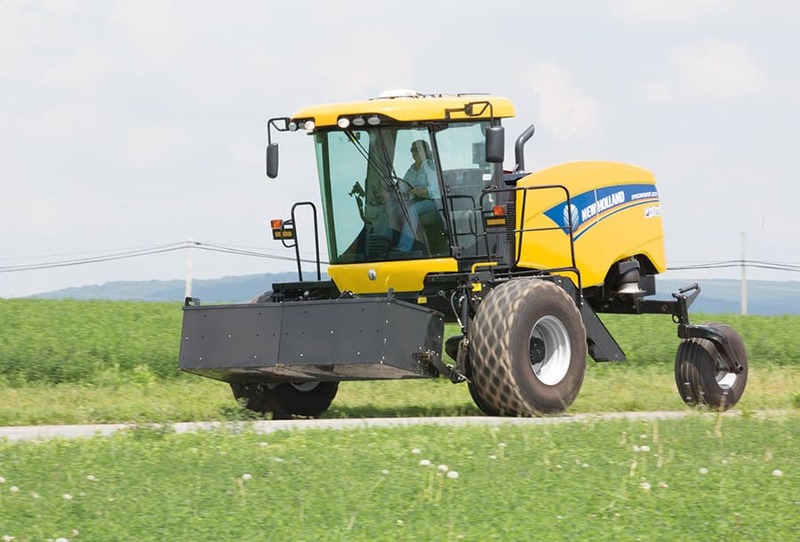 When RoadCruise transport mode is active, engine speed and hydrostatic pump flow automatically adjust on-demand for higher or lower ground speed, providing the ideal engine speed corresponding to the ground speed selected.